Free your inner flow juggernaut with this epic modular vision kit! The new vision chucks feature paracord loops at each end that easily slip through one another for nunchaku action on the go, and separate for legal transport. 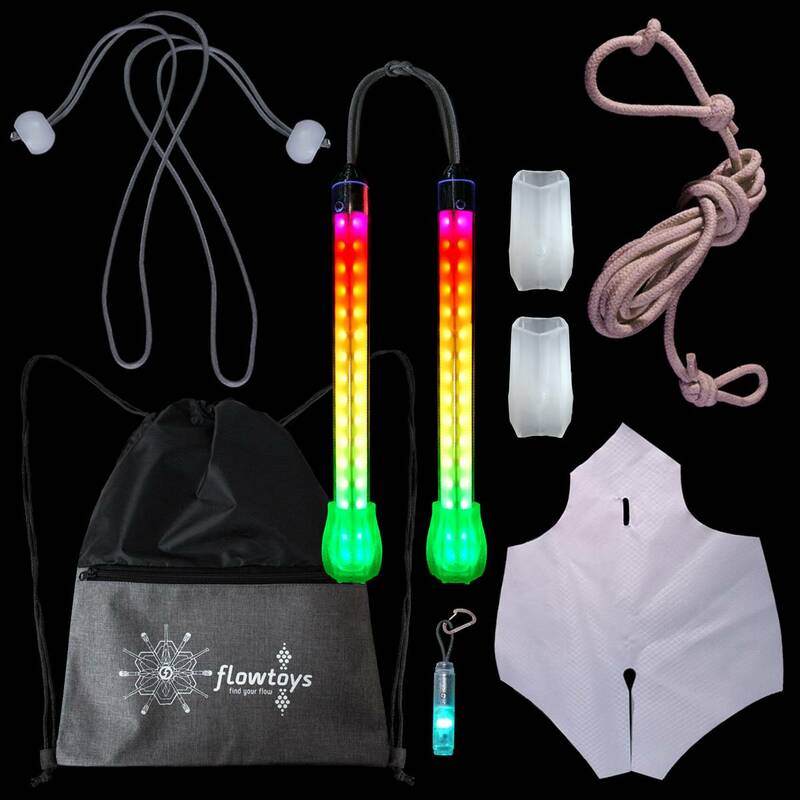 Add a flowmass to each stick and pull the paracord poi handle converters through the loops for instant poi, or attach the braided cotton rope & flag for ninja-tastic vision dart play! 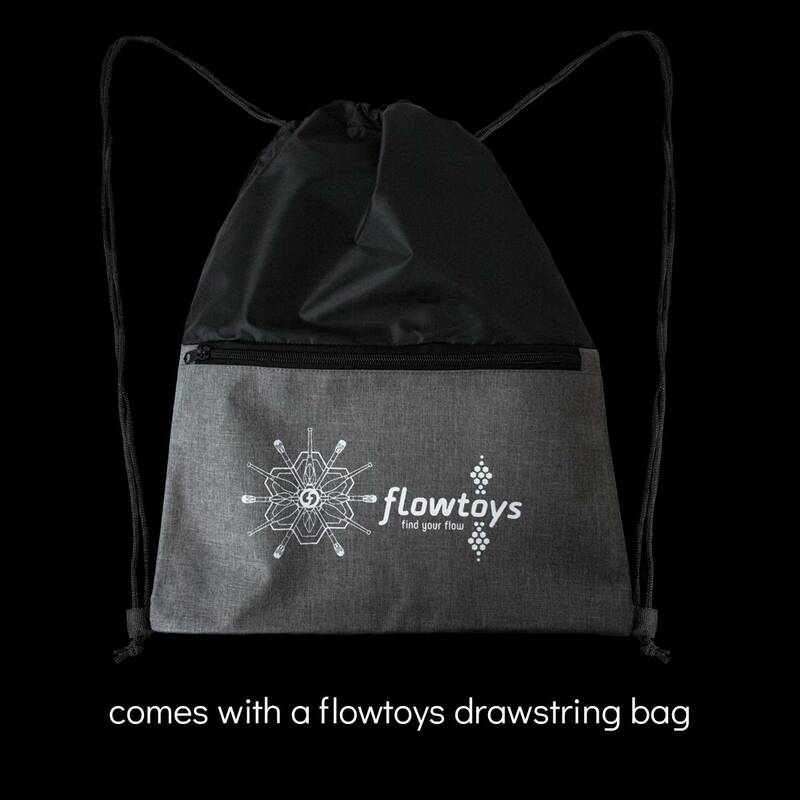 Plus, enjoy the freedom of bringing along your versatile powerhouse prop wherever your journeys take you with a sweet new flowtoys drawstring bag. Invite a flowmie (or a cutie ;) along to VJ your performance with the capsule remote. Aw yeah. Made with the same durable housing as the flowchucks, your vision chucks (and poi, and dart!) have 70+ customizable modes, wireless sync and control, adjustable brightness, motion response, and so many more features that make you shine. Durability note: The vision dart is durable, but there's a lot of sensitive electronics at the end of a very long tether and nothing is indestructible. This dart is amazing for performance, but is not meant to take repeatedly impacts on hard surfaces. We are still determining the limits during this beta phase. Sold as a kit, as shown in photo. Some assembly required. 1-week lead time: This kit is made to order - even if you choose Express shipping, your kit may not leave our factory until 1 week after you order it! If you are in a rush, please contact us before ordering. Note: Because of the modularity of this rig, the vision poi conversion uses paracord rather than the 6mm braided leash that comes with vision poi.